Many duct cleaning services today use highly toxic chemicals in their cleaning process. EcoAir Care takes a different approach to duct-work cleaning and strives to deliver services that include natural cleaning products that are non-toxic. This ultimately results in higher quality cleaning and a more environmentally friendly indoor air environment. For example, mold and mildew can create serious health concerns for the occupants of a home where mold is growing, however when toxic chemicals are used to remove mold it can cause additional health concerns. 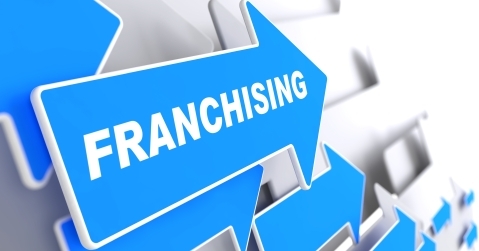 The ideal scenario is to effectively remove mold without adding additional toxins to indoor air. From cleaning a blower to cleaning the coil in an air conditioning unit, EcoAir Care takes a more environmentally friendly approach to duct cleaning and air conditioning component cleaning. Go green and go with EcoAir Care for all your air duct natural cleaning needs. 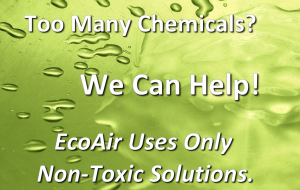 As an environmentally conscientious company, indoor air quality specialists at EcoAir Care understand the importance of limiting the introduction of hazardous chemicals into the indoor air environment. Environmentalists worn of excessive use of household products that might contain toxic organic compounds or VOCs, that will buildup in you home and have the potential to harm you or your family. 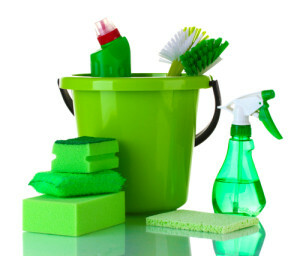 Using only Green Cleaning products is a good idea for everyone, especially for families with newborns or people that have chemical sensitivity. EcoAir’s green cleaning products are biodegradable and completely non toxic, so they will not buildup in your system and will not have long term effects like conventional cleaning will.